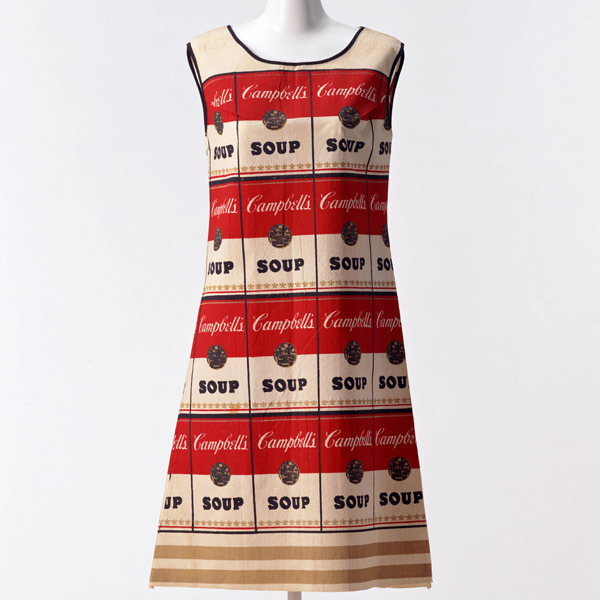 "Campbell's Soup" can-motif printed non-woven mini dress with black bias tape. 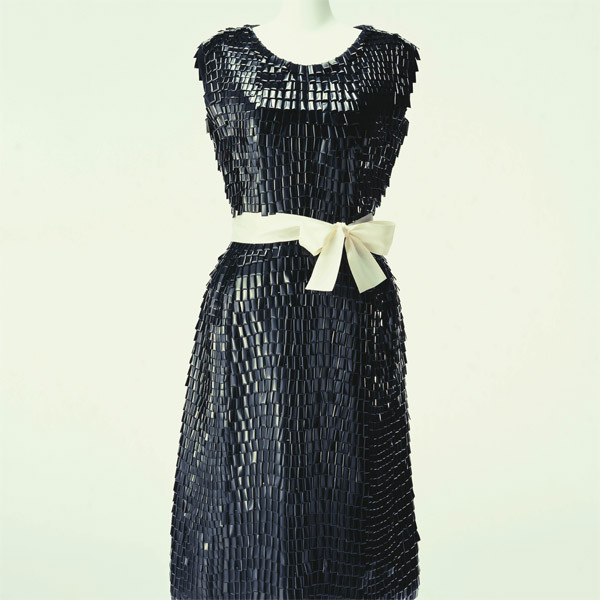 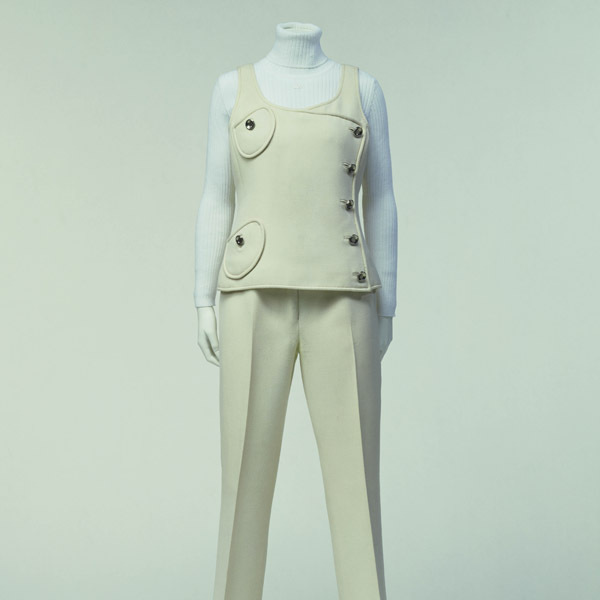 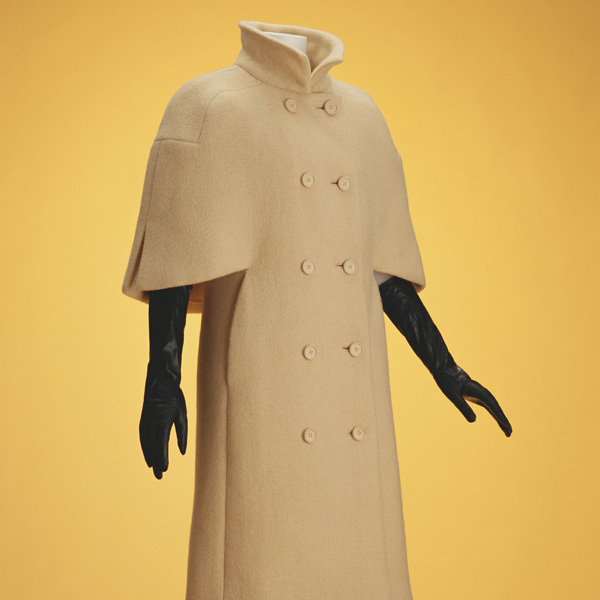 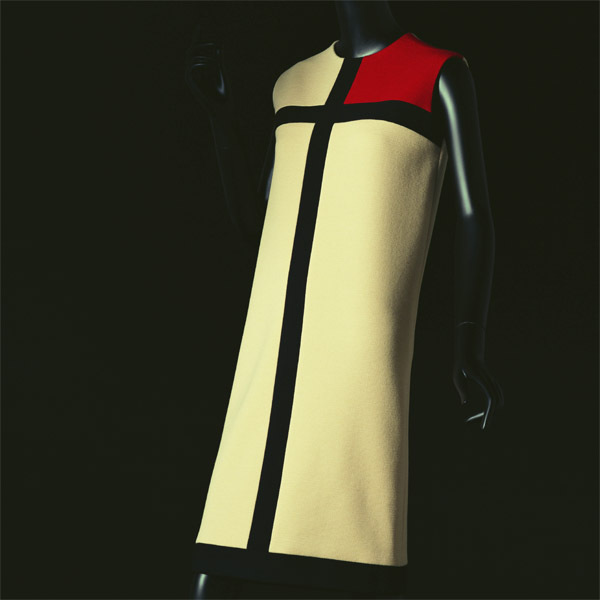 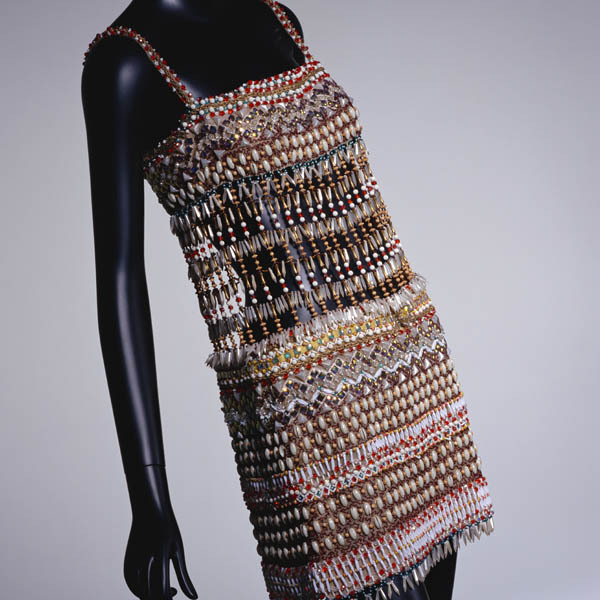 This "paper dress" represents the 1960s, the era of mass consumption. 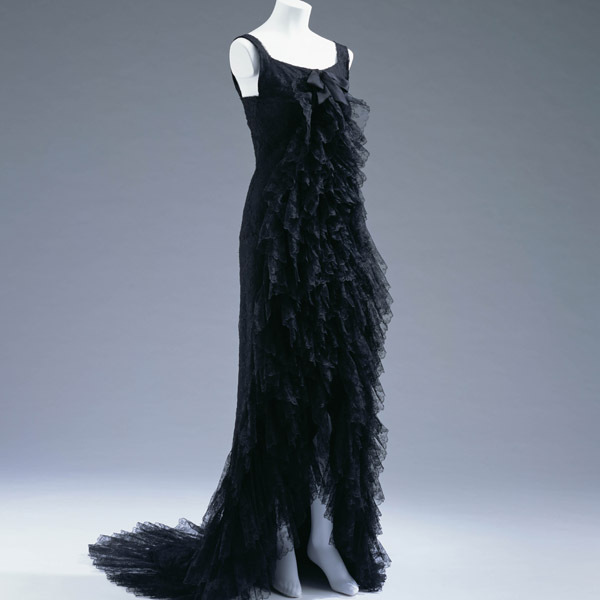 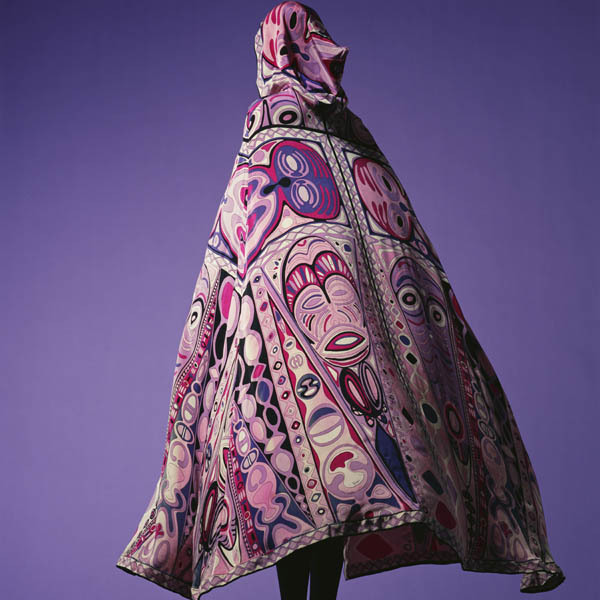 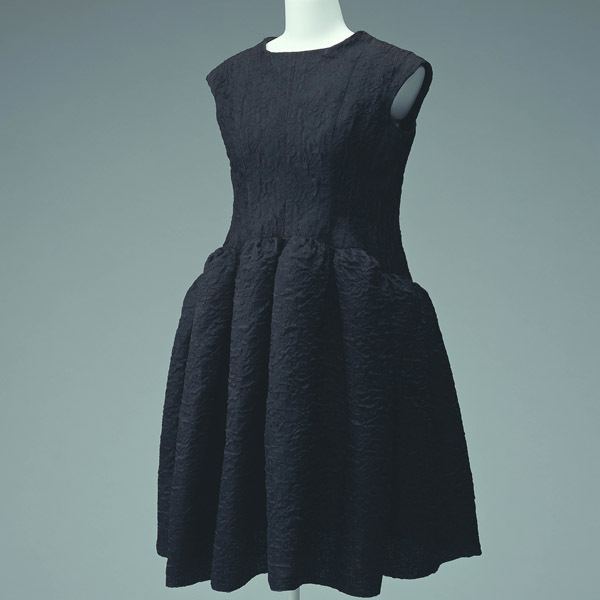 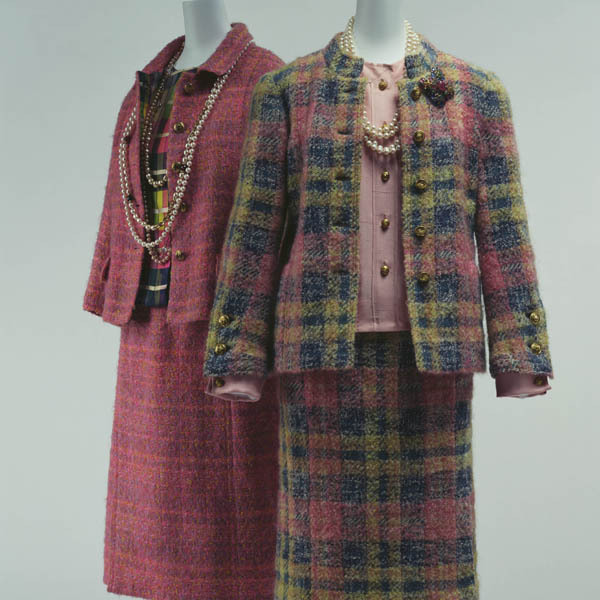 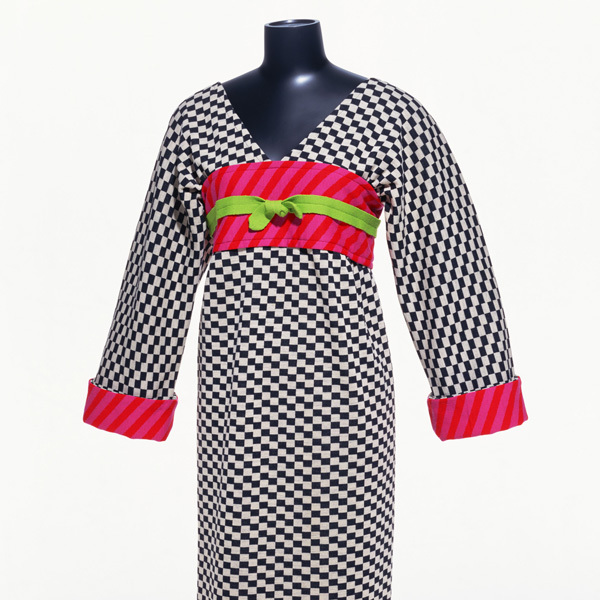 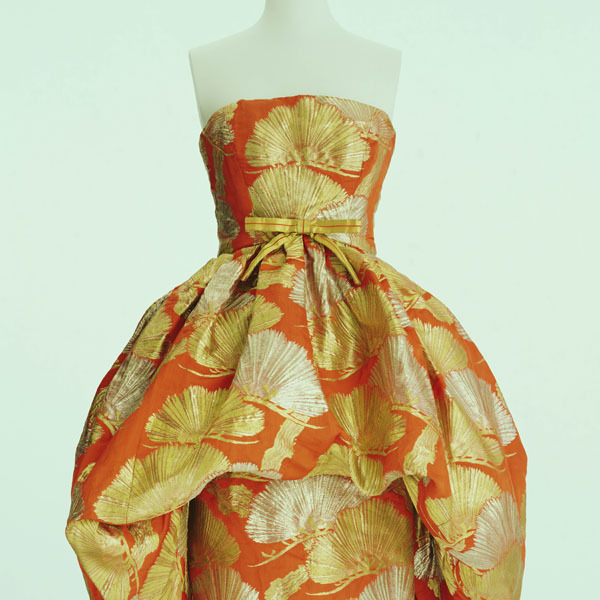 Simple form, mini length, and graphical motifs were in vogue for fabrics at that time, and are incorporated into this low-price disposable dress made in the U.S. 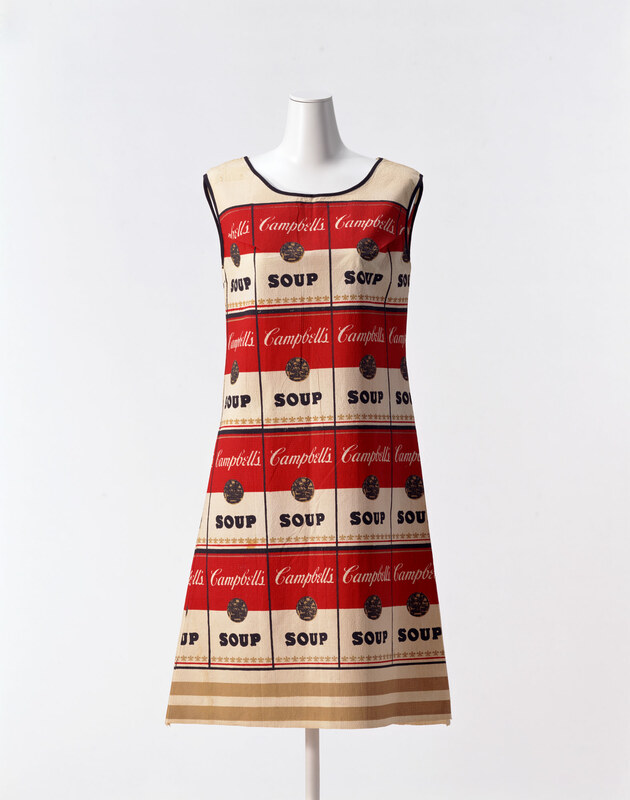 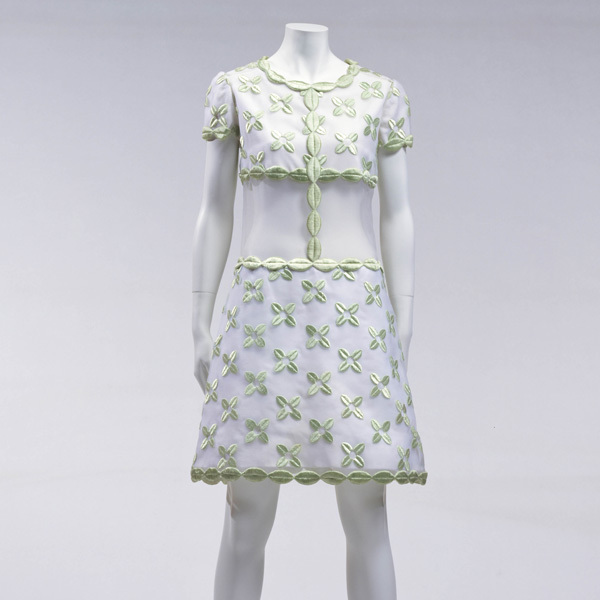 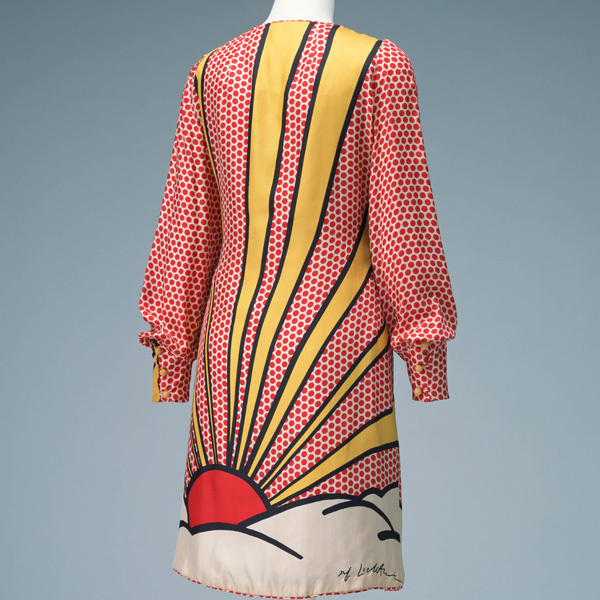 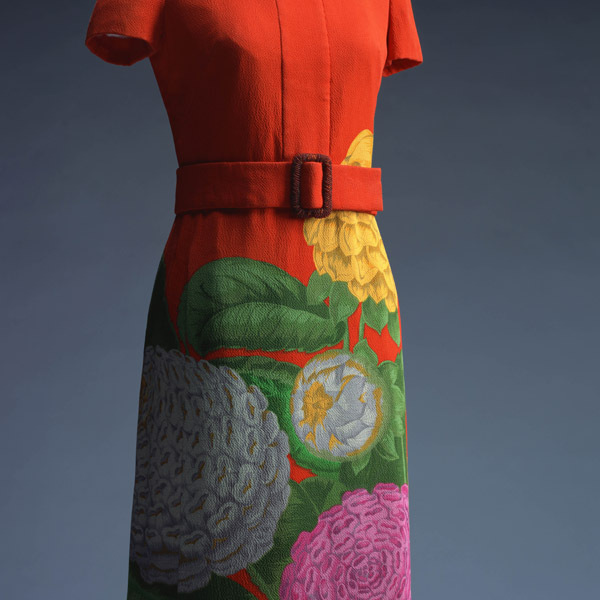 In the 1960s, disposables were popular, and this disposable dress is printed with images of Campbell's Soup cans. 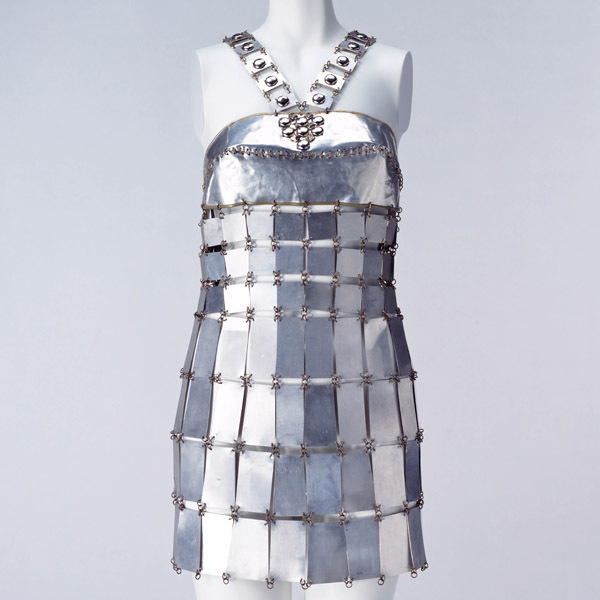 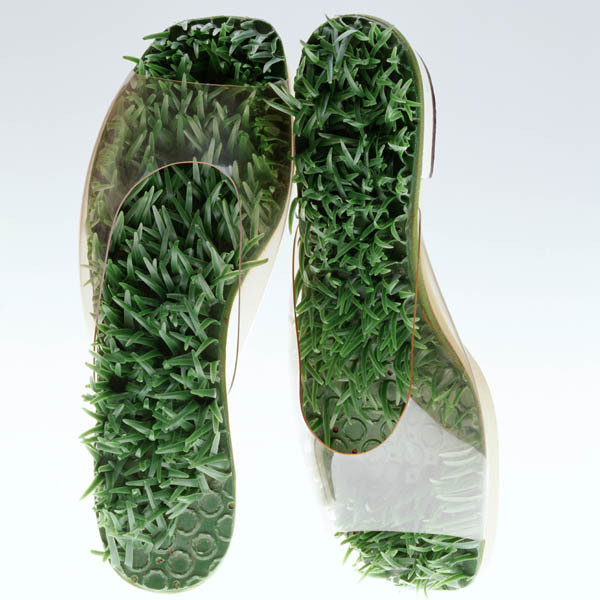 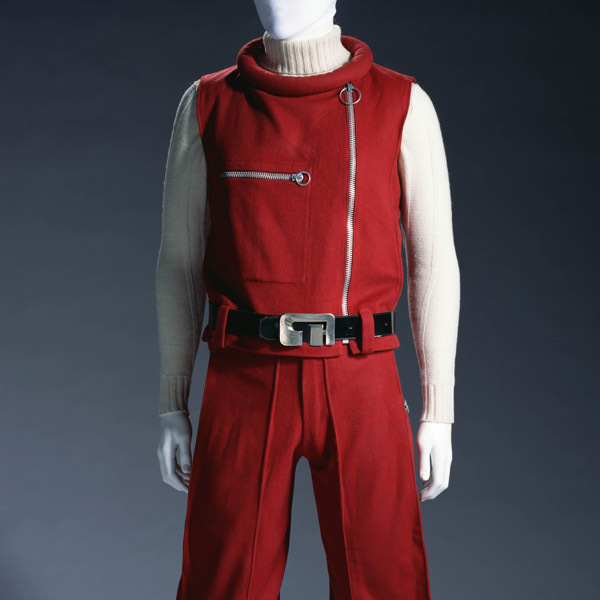 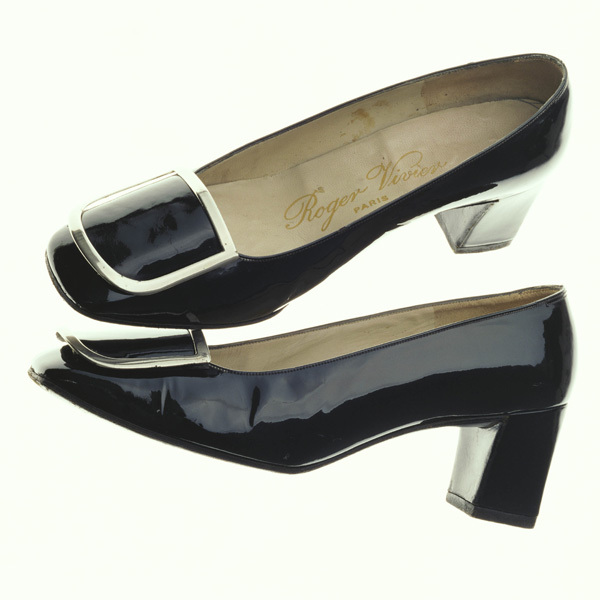 Needless to say, it was inspired by the use of the cans by Andy Warhol (1928–1987), the central figure in pop art, and represented a dress version of the mass produced images of mass produced objects that swept the world. 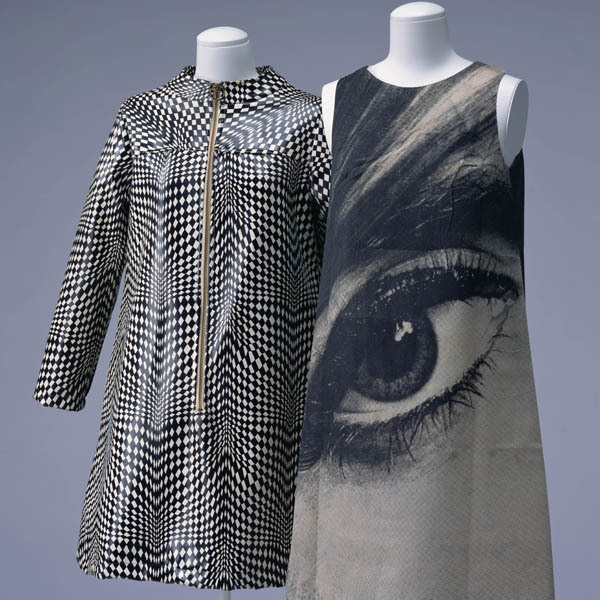 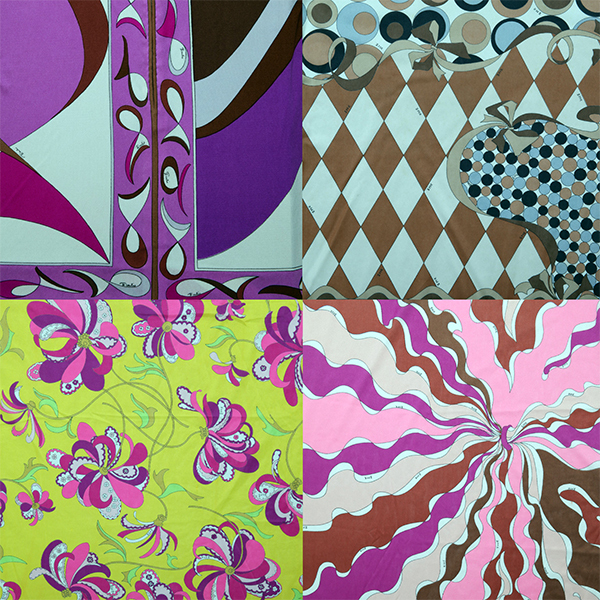 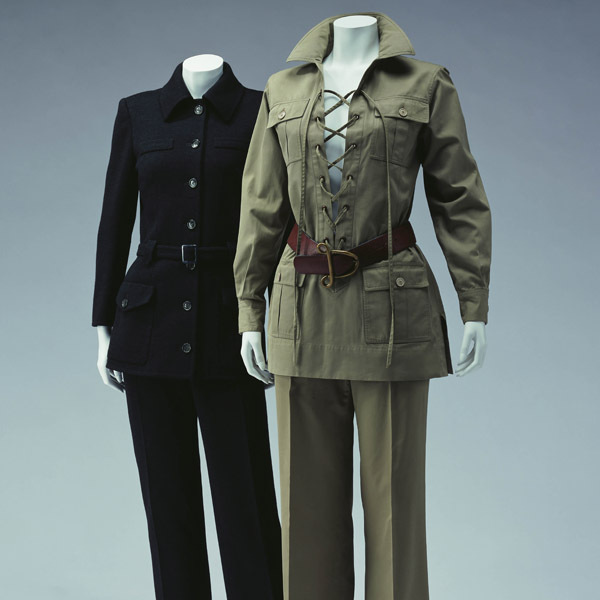 Warhol himself made the "Banana dress" and the "Fragile dress" in 1966.